Simplify learning to tell the time with this poster and its concise design. 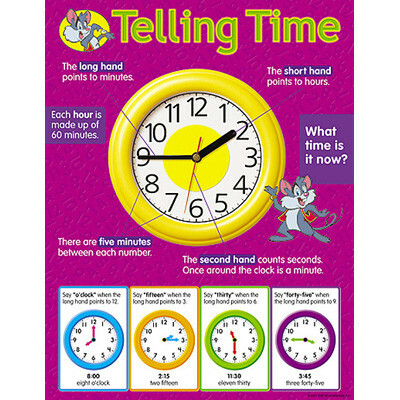 Sometimes a difficult subject to teach, these posters support teaching and make a useful and colourful classroom display. Handy reproducibles and activities on the back.